A: Each procedure is different since we take the time to make the client feel comfortable with the pigment color and shape. Most first time procedures will last 1.5-2 from start to finish. While touch ups are normally 1- 1.5 hours. Q: What is the healing time? A: Healing time varies person to person but normally 7-10 days. It’s important to remember not to pick at the skin as it completes the healing process. For more after care instructions Please see our PDF booklet. Q: Does permeant makeup hurt? A: When it comes to pain, everyone is different. Prior to beginning the procedure, we take 15-20 minutes numbing our clients with a cream based numbing agent. Throughout the remainder of the process we continue applying a numbing agent that is gel based. Many clients compare the feeling of to that of tweezing. Q: Can I return to work after a procedure? A: Yes! Our clients may or may not experience some swelling and slight discomfort but will be able to resume to work. Q: Can I have more than 1 procedure done on the same day? A: More than one area during the same appointment is definitely an option. An example of this is getting your brows and eyeliner done during the same visit. Q: What if I am pregnant or breastfeeding? A: The safety and health of our pregnant clients comes first and request that our clients receive our services after their pregnancies. Procedures on breastfeeding moms are an option. 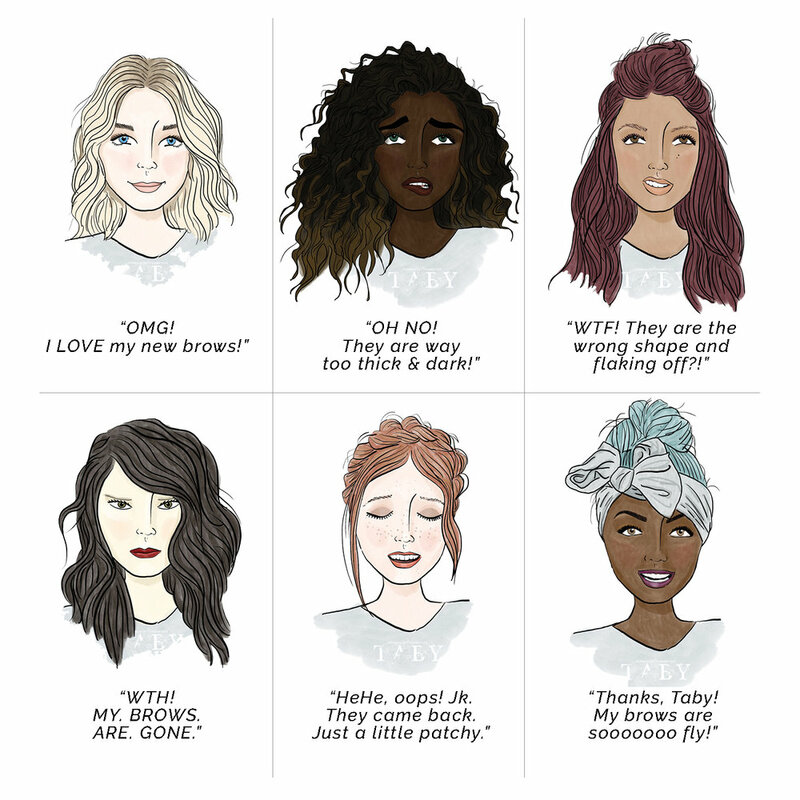 BELOW IS AN EXAMPLE OF THE LIFECYCLE OF YOUR NEW BROW PROCEDURE.